Rubber granulate mats have a dampening effect, are slip resistant and offer a pleasant walking experience. 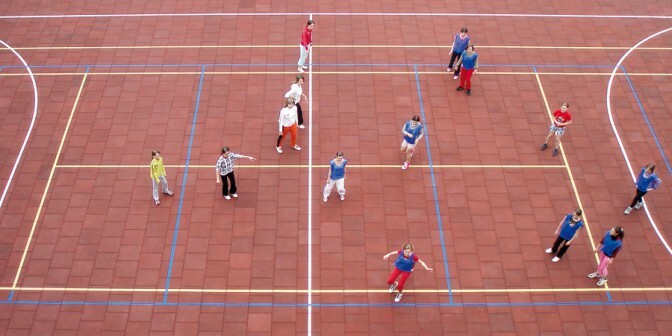 The easy-care flooring is ideal for patios, sports facilities and anywhere where children play. Rubber granulate mats are made from recycled rubber granules. They have an open structure and are therefore water permeable – no puddles are formed if it is raining. AllesDach is your wholesaler and contact for rubber granulate mats. 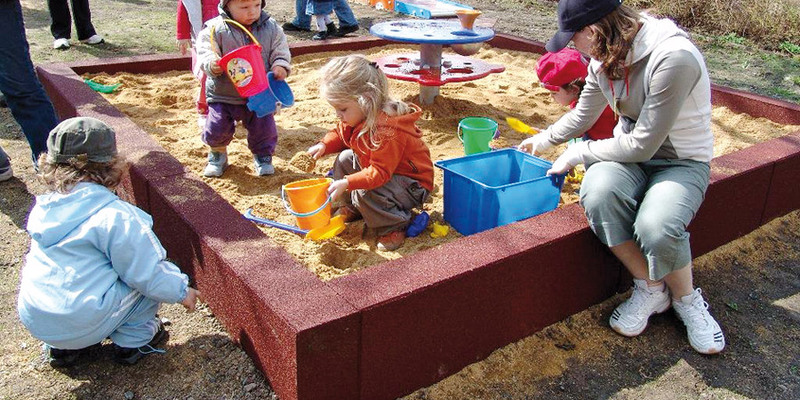 Our products are a safe and clean alternative to gravel and sand surfaces on playgrounds. Children are protected from falls from up to 3 meters. 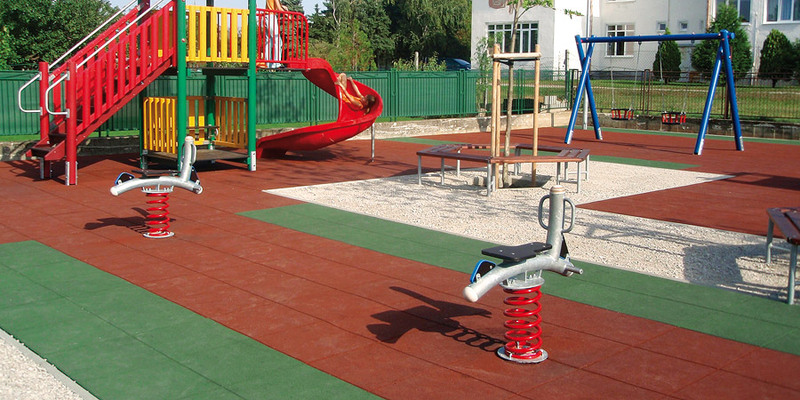 All elements are tested according to EN 1177 and are suitable for new and old playgrounds. In cooperation with architects our manufacturers were able to develop practical solutions for home, garden and pool. The products can be used as coverings for balcony and terrace. 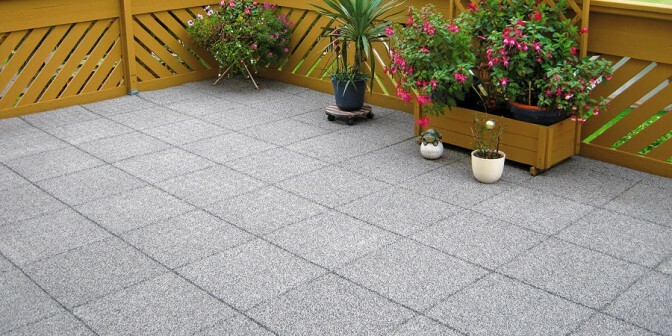 They offer good anti-slip properties, can be produced in individual sizes and are ideally suited for the use as pool surrounds. Products made ? ?from recycled rubber have a long tradition in the construction industry. The mats are used for the production of sound insulation and vibration barriers for CNC machines, lathes and presses, and thus enhancing the quality of working conditions and the quality of life of the surrounding environment. Our high quality rubber granulate mats are TÜV-certified, capable of large loads and have a long lifespan with virtually no maintenance costs. 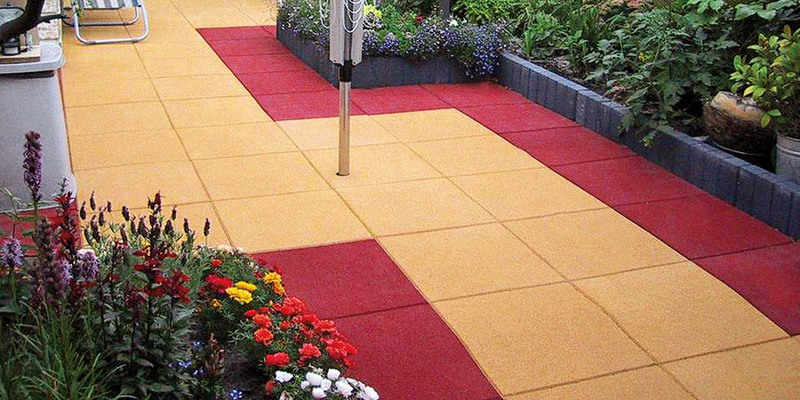 The easy-care rubber granulate mats can be laid on concrete, asphalt, gravel or sand. Occassional sweeping, vacuuming or rinsing with a water hose is enough. High pressure cleaners and mild cleaning agents can also be used. Rubber granulate mats are made ? ?of black recycled rubber granules and can be coated in the colors red and green. Additionally there are 7 colors consisting of new and completely colored EPDM granules. Out of these 20 combinations can be mixed. The EPDM color- and mix combinations always make an abrasion-resistant, 5 mm thick top layer. The rest consists of the recycled black base mat.